The range of emotions I had experienced with Ronan felt like a topsy-turvy spinning roller coaster. Suddenly I was awake for the first time in what felt like years. Every fiber of my being was filled with heated desire, passion, lust and fear, and all I wanted was more… more of everything, more of him. How had I just lived these past few years only going through the motions? But, as glorious as all of this was, was I kidding myself? Could it be real? Or just a moment in time – a few days of thrilling and scary excitement rolled into one? The moment before you hit that first big drop on your favorite coaster, you fall, and then it’s over. He’s always followed everyone else’s script and she wrote her own. That was until fate swept in with other plans. 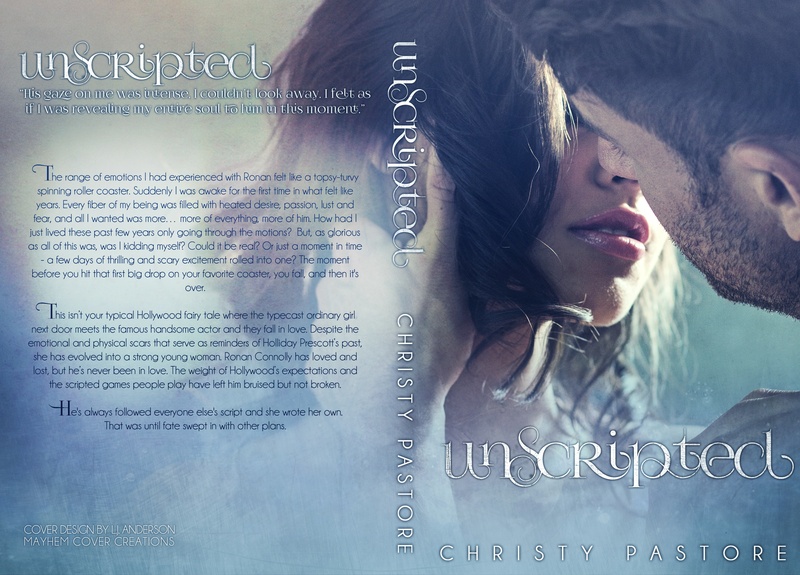 Writer Christy Pastore grew up in the lakeside community of Syracuse, Indiana USA writing short stories that usually involved characters who loved to travel, had a passion for fashion and were often times swept up in boy crazy crushes. Many of her first stores also dealt with coming of age situations with their best girlfriends. Her debut novel, Fifteen Weekends was released in May of 2014. Her next novel, Unscripted is set to release in November 2014. Next Post What challenges do November bring to you?